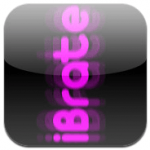 iBrate Vibrate is an app that turns your device into a massager. You can use one, two or three fingers to touch the screen of the device if you want to hold your device to the place you need massaged, or you can double tap the screen to have it continually running. Although there appears to be no way of turning it off, and you may have to close the app completely. In testing this app it just doesn’t seem to work too well unless you have a great vibrate function that could be possible on the latest device, but it will most likely be some sort of novelty item so you may have to rely on a vibrating massaging device that is sold that way. Then again it might work on pets or someone who isn’t tense all the time. There seems to be no reason to use this on an iPad unless you want to use it on someone’s back. Even though there is a Pro version, it seems like it was abandoned since the free app has been updated more than the Pro. Voice Generator is an app that speaks the words you type in the app. You can select from two different male voices Michael and William. You can change he pitch, variance and speed of the voice which can change to something completely different from the default settings which can be fixed with the reset button located in the voices section of either male or female voices. Even though there were two listed that comes with the app, all the other voices needs to be activated. This didn’t make sense because there were others that the app’s page stated that comes with it even from within the app there are three you are supposed to get. 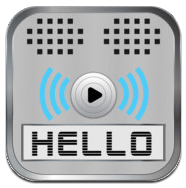 Each separate voice costs $0.99 that can be bought in the app. Also in the app’s reviews the ads appear not to have gone away even after one purchase. It would seem that annoying people who get this app with ads whether they bought anything or not just sounds like a bad practice of taking care of your customers. 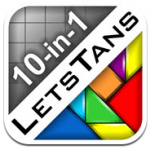 LetsTans 10-in-1 is a puzzle game app where the basis of the game is to use the shapes given to fit in the design that is on the board. If you ever get stuck on a puzzle you can use the hint to help you out. You can even keep track of the time on how long it takes you to finish the puzzle and try to beat your time record with a newer one. All of your achievements and leaderboards are maintained by the Game Center. This game only comes with the Classic mode, and you can buy the Mega pack for $2.99 or buy each individual set at $0.99 each. It is unclear if there are more puzzles added to the game if you have to pay for those individually if you buy the Mega pack. You could download LetsTans Deluxe at one flat price and get all new puzzles as they arrive which is also the same as LetsTans Premium for the iPad. You will have hours of enjoyment playing this especially since you have to put your thinking cap on in order to solve the puzzle.